A team from the Faculty of Science and Technology, led Professor Siamak Noroozi and Dr Richard Gunstone, have successfully obtained a Grant Offer Letter (GOL) for a high-impact KTP working with Precision Acoustics Limited (Dorset). In this blog post we discuss some of the background to this KTP, and objectives. Precision Acoustics (PA) manufactures acoustic measurement products for the medical and Non Destructive Testing (NDT) industries and is well established as a major supplier of equipment for the (MHz) ultrasound markets world-wide. PA has a close working relationship with the National Physical Laboratory, London, and academic establishments across the UK to further R&D. The company’s core products are acoustics measuring devices. The company already has a significant share of the world market in this area, and is now embarking on innovative industrial NDT systems working on a number of precursor projects including with Rolls Royce. The longer term objective can only be achieved if PA introduces a software capability able to devise, maintain and develop a development process that has the expected attributes of resilience, performance and integrity, supporting product deployment. This is the principal focus for the KTP, capitalising on the capability in systems design, software, and assurance within BU. The diagnostic systems work at PA are being developed and used in numerous applications, including malaria detection. 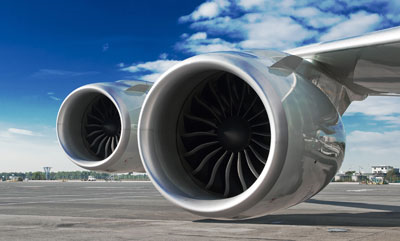 It is estimated that some 30% of commercial airliners globally use the technologies developed by PAL for analysing defects in engine fan blades, for example. Due to the inherent nature of NDT systems and the potential application areas, these application areas are likely to have societal relevance and high-impact. A great deal of effort has been spent in designing the project to be flexible and comprehensive. This has been made possible by the capable contribution of Norman Stock, the Faculty Business Relations Officer. He has worked closely with the academic staff and also the company to present a suitable proposal to Innovate UK, who are part-funding the collaboration. In terms of project design, the KTP incorporates the new “KTP laydown” of an integrated MRes opportunity for the Associate, combined with expectations of research activity leading to co-authored papers. This provides a route for knowledge transfer of expertise from the university to the company, in a way that delivers advantages for all stakeholders. We look forward to providing further reports on our collaboration with PA as time progresses.